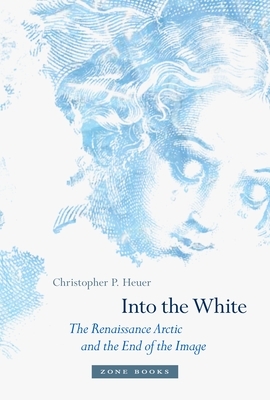 Join us at Book Culture on 112th on Monday, April 22nd at 7pm as we welcome Professor Christopher P. Heuer to discuss his new book, Into the White: The Renaissance Arctic and the End of the Image. Professor Jonathan Crary will introduce and Rob Slifkin will be joining Christopher in the discussion. European narratives of the Atlantic New World tell stories of people and things: strange flora, wondrous animals, sun-drenched populations for Europeans to mythologize or exploit. Yet, as Christopher Heuer explains, between 1500 and 1700, one region upended all of these conventions in travel writing, science, and, most unexpectedly, art: the Arctic. Icy, unpopulated, visually and temporally "abstract," the far North--a different kind of terra incognita for the Renaissance imagination--offered more than new stuff to be mapped, plundered, or even seen. Neither a continent, an ocean, nor a meteorological circumstance, the Arctic forced visitors from England, the Netherlands, Germany, and Italy, to grapple with what we would now call a "non-site," spurring dozens of previously unknown works, objects, and texts--and this all in an intellectual and political milieu crackling with Reformation debates over art's very legitimacy. In Into the White, Heuer uses five case studies to probe how the early modern Arctic (as site, myth, and ecology) affected contemporary debates over perception and matter, representation, discovery, and the time of the earth--long before the nineteenth century Romanticized the polar landscape. In the far North, he argues, the Renaissance exotic became something far stranger than the marvelous or the curious, something darkly material and impossible to be mastered, something beyond the idea of imageitself. Christopher Heuer is an Associate Professor of Art History at the University of Rochester, author of The City Rehearsed, and coauthor of Ecologies, Agents, and Terrains and Vision and Communism. Robert Slifkin is an Associate Professor of Fine Arts at the Institute of Fine Arts, New York University. He is the author of Out of Time: Philip Guston and the Refiguration of Postwar American Art (University of California Press, 2013) which was awarded the Philips Book Prize. His essays and reviews have appeared in such journals as October, American Art, Artforum, Oxford Art Journal, and the Art Bulletin. His next book. The New Monuments and the End of Man: American Sculpture Between War and Peace, 1945-1975, which will consider the intertwined histories of sculpture and nuclear war in postwar U.S. culture, will be published by Princeton University Press next fall. Jonathan Crary is Meyer Schapiro Professor of Modern Art and Theory at Columbia University. His books include Techniques of the Observer and Suspensions of Perception.